Publisher's Description F.E.A.R. 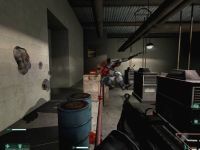 Combat is a free multiplayer component from the original PC first-person shooter F.E.A.R., which lets you play against the owners of the retail version of F.E.A.R. as well as the other F.E.A.R. Combat users. Please visit www.joinfear.com to register for a required F.E.A.R. Combat authentication key.